The vast liberal conspiracy—you know, the one that thinks serial sexual harassment over a period of decades is a crime that ought to be punished, in at least some meager way—scored an insidious win today, ousting Bill O’Reilly from his position of power at Fox News. But one tireless defender of truthiness wasn’t about to let his Papa Bear go down without a fight, which is why conservative commentator “Stephen Colbert” made his mournfully triumphant return tonight—courtesy of his alter-ego’s Late Show on CBS—to bid his hero a fond farewell. “Shame on you,” Colbert told a faithless nation, chastising them for letting down a man who always had their backs (and their fronts, if they were women, and he thought he could get away with it or settle at a later date). 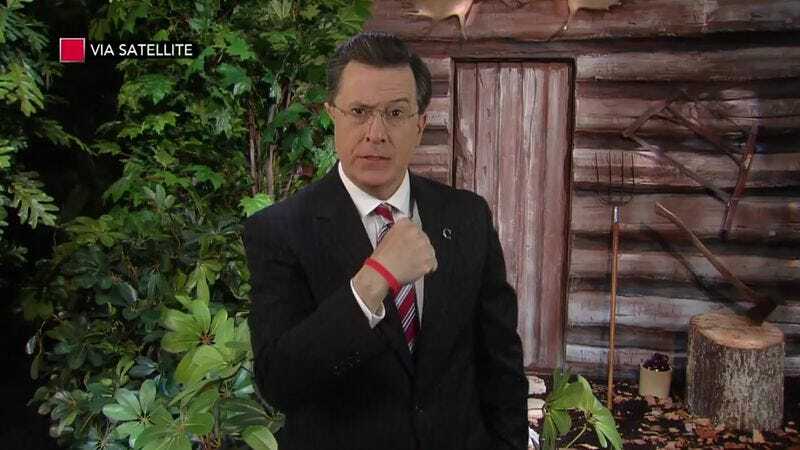 Acknowledging that no one could “sustain such a broad character for that long,” “Colbert” then invited O’Reilly to join him and Jon Stewart in the solitude of their mountainside cabin retreat.